Esplicito Metal Vinyl Vault - Crazy 88 Strikes Back Again! Get ready for an action-packed episode where we celebrate all the amazing metal that had its 30th anniversary during 2018. It was such a good episode I recorded it TWICE! Harder, FASTER, LOUDER!!! 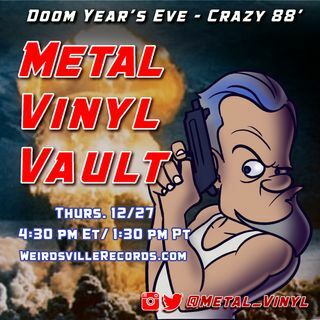 Prepare your earholes for some blistering 1988 heavy metal straight from the Metal Vinyl Vault! !